ACHCA is a non-profit professional membership association dedicated to administrative leadership and excellence in post-acute and aging services care across the spectrum of health care services. We offer professional certification, career development opportunities, ongoing education and networking opportunities to our members. For more information about ACHCA, click here. What are the ACHCA Bylaws? Click here to read our ACHCA Bylaws. Bylaws are a set of rules adopted by an organization chiefly to govern its members and regulate its affairs. What are the business hours of ACHCA? Monday through Friday, 8:30 am – 5 pm ET. The ACHCA office is closed on Federal holidays. Our receptionist takes calls during business hours; after 5 pm ET, callers can access our voicemail system. ACHCA’s office is at 1101 Connecticut Avenue, NW, Suite 450, Washington, DC 20036. Correspondence should be sent to our DC address. Does ACHCA solicit donations? If so, how? Yes. ACHCA solicits donations, memorials and tributes, and conducts an annual giving campaign. ACHCA is a 501(c) 3 organization. Contributions of gifts to ACHCA are deductible as charitable contributions for federal income tax purposes. FEIN: 36-2637617. For more information about how you can donate to ACHCA, please click here. Does ACHCA offer scholarships to students? Although ACHCA does not offer academic scholarships, there are a few association specific funds available to assist in ACHCA Conference participation. Information about the McConnell Funds can be found by clicking here. In addition, check the chapter websites as some funding may be available at the chapter level. Does ACHCA offer an AIT program? As of 2014, ACHCA is working with the NAB to develop an AIT Preceptor Development Program that will explore training AIT preceptors and creating AIT site opportunities. This initiative is in development. Until such time as the program is executed, it is suggested that ACHCA Collegiate/AIT members network at the chapter level to explore AIT site opportunities. In addition, AITs can network on the ACHCAConnect community found here. ACHCA members strive to assist other members in obtaining AIT positions, but we cannot guarantee or promote any placements. What does "College" in ACHCA stand for? Is ACHCA an educational institution? ACHCA was founded in 1962 during a time when LTC leadership education was not available elsewhere. ACHCA was seen as “the College” that filled this educational need. Today, “the College” represents collegiality, and should not be mistaken for an academic institution. ACHCA is not an educational institution. Who can be a member of ACHCA? Anyone with an interest in long term care leadership is encouraged to join ACHCA. Our members range from students in health-care related programs to retired administrators/executives. For more information about membership, click here. Does my organization join ACHCA, or do I join as an individual? Our memberships are for individuals. We offer a Business Affiliate membership for a company that provides a product/service in the industry. For more information about membership categories, click here. Is there a way to receive emails from ACHCA, even if I am not a member? Yes. In order to receive emails from ACHCA about upcoming webinars, events, and news, click here to join our email list. Why should I join ACHCA? ACHCA members join for networking, on-going education, professional certification, leadership development, and volunteering opportunities. To review a list of our member benefits click here. How can I join ACHCA? You can also print off our application and fax/mail it in: click here for the printable version. If you would like to renew your membership using a hard copy application, click here for the printable version. Can I make a credit card payment to join or renew my membership over the phone? Do you offer discounted rates for group memberships? Yes, we offer a Group Membership — a 10% reduction in the membership fee per individual member. This group rate applies to our Associate, Emerging Professional, and Professional memberships only. ACHCA has ten membership categories: Professional, Emerging Professional, Retired, Retired Fellow, Academic (Voting), Academic (Non-Voting), Associate, Administrator in Training (AIT), Student, and Business Affiliate. For a description of each type, click here. If I am unsure which membership category is applicable to me, who do I contact? Contact [email protected] with details of your eligibility. For Student and Administrator in Training (AIT) memberships, where do I send my supportive documentation? Please e-mail your proof of eligibility (i.e. college ID, class schedule, tuition statement, letter from Preceptor, etc.) to [email protected]. Do I have to be a licensed Administrator to join? You do not have to be licensed to join. ACHCA has several membership categories for those interested in long term care leadership. Click here to learn more. Is there a membership discount for unemployed professionals? There are no discounts for a voting membership category. How long after I join will I receive my new member packet? You will receive a welcome e-mail immediately upon receipt of payment. In addition, you will receive your ACHCA membership card in the mail approximately 4-6 weeks after you join. *Please make sure that your mailing address is correct when viewing your member profile in the Member Portal. If you do not receive your welcome information or membership card, please e-mail [email protected]. ACHCA dues are not deductible as a charitable contribution for federal income tax purposes, but may be deducted as a business expense. Please consult with your tax professional for more information. Does ACHCA offer a special membership rate if several staff join together? Yes. The ACHCA Group Membership Rate offers a company or facility the opportunity to receive a reduced membership dues rate if they pay for 3 or more individual memberships at one time. This group rate applies to our Professional, Emerging Professional, and Associate memberships only. Does ACHCA offer a payment plan? No. The ACHCA Bylaws do not offer a stratified payment or auto-deduct plan as it minimizes the status of “membership in good standing” which is a requisite of membership payment in full. What is the membership renewal date? Memberships are renewed on the anniversary of your join date. You will get a membership renewal notice via email, 60 days prior to your membership expiring. If you have not renewed 30 days prior to membership expiration, we will mail you a notice to the primary address you have on file. I am interested in serving on an ACHCA volunteer committee. What is the process for being recognized for committee participation? ACHCA’s committee year spans May through April each year. Potential committee members may apply for volunteer committees by completing the committee application and Conflict of Interest form. Committee applications are solicited between November and February each year for the subsequent year. Applications are reviewed to ensure balance on the committees and committee announcements are made in April of each year. Is there an additional fee to join a state chapter? As a member of ACHCA, you receive one state chapter membership that is included in your national dues. If you'd like to join additional state chapters, the cost is $30 per chapter. Members who live in one state and work in another, may pay the additional $30 to belong to both chapters. Is there a limit to the number of state chapters a member can join? There is currently no limit, but voting privileges are restricted to the primary chapter and district, with a single vote in national elections. How many states have active chapters? For a listing of ACHCA active state chapters, click here. What is the function of the state chapters? State chapters are a local resource for our members. They host local events, fundraisers, conferences, and some publish their own state newsletters and websites. We strongly encourage our members to be as active as possible in their state chapter. If I want to start up a state chapter, who do I contact? To start a state chapter, please contact [email protected]. How can I find a chapter near me? To contact a local chapter, click here. How do the chapters operate? Each chapter has its own set of officers (i.e. President, Vice President, etc.). Chapters have their own charter and bylaws. Elections are held each year for chapter officers. Does ACHCA offer education programs? ACHCA offers many educational programs through our National Conferences, Chapter Meetings, self-studies, and webinars. To learn more about ACHCA’s educational offerings, please click here. What is ACHCA CNHA and CALA certification? A CNHA is a Certified Nursing Home Administrator and a CALA is a Certified Assisted Living Administrator. Each certification can be obtained by passing a two-part exam covering general long term care concepts and a specialty exam. For more information on ACHCA’s professional certification programs, please see the ACHCA Professional Certification Handbook. Do I have to be an ACHCA member to become CNHA or CALA certified? No. ACHCA membership is++ not required for certification. To become a member of ACHCA, click here. For more information about certification, click here. Is ACHCA professional certification the same as state licensure? No. An individual seeking to become licensed as a nursing home or assisted living administrator should check their state licensing board for requirements. Links to state licensing boards can be found on the National Association of Long Term Care Administrator Boards (NAB) website: click here. For more information about ACHCA certification, click here. Does becoming ACHCA professionally certified assist with licensure reciprocity? Reciprocity requirements vary by state. Please check with your state licensure board for more information. Links to state licensing boards can be found on the National Association of Long Term Care Administrator Boards (NAB) website: click here. Several states recognize ACHCA's CNHA program which may “fast track” administrator eligibility for licensure in that state, click here and see page 5 of the ACHCA Certification Handbook for a list of those states. I am licensed as a long term care administrator, but not currently working in the field of long term care. May I become certified? Yes, as long as you fulfill all of the requirements for ACHCA certification, you can become certified. Requirements for certification can be found in the ACHCA Professional Certification Handbook. What is Advancement to Fellow? Advancement to Fellow represents the highest level of membership in ACHCA. It is the recognition of professional achievement and continuous adherence to the ethical and professional standards of ACHCA. To learn more about becoming an ACHCA Fellow, click here. What is the difference between becoming ACHCA certified and becoming an ACHCA Fellow? Advancement to Fellow represents your service to the field of long term care whereas professional certification is based on experience and specialty knowledge. You must be and maintain membership in ACHCA to be a Fellow. Do I have to be a member to become a Fellow? Yes, those interested in becoming an ACHCA Fellow must have a minimum of two years as a voting member, in good standing, of ACHCA. Click here for more information on membership. How does the FACHE credential differ from the FACHCA credential? The FACHE credential is geared toward acute care executives and offered through the American College of Health Care Executives (ACHE) whereas the FACHCA credential is for long term care administrators, offered through ACHCA. Webinar is short for Web-based seminar, a presentation, lecture, workshop or seminar that is transmitted over the Web. How do I know if the CE's ACHCA offers are approved in my state? All of ACHCA’s CE offerings are approved by the National Association of Long Term Care Administrator Boards (NAB). Most states accept NAB approved CE. Check with your state board if you have questions regarding a particular CE offering. I have not received my certificate for my continuing education. Who do I contact? If you attended a continuing education program and did not receive a certificate please contact [email protected]. Where can I find information about ACHCA's history? ACHCA’s rich history is archived in three volumes by year. This history can be found on the web site at: click here. Where can I find press releases and white papers about ACHCA? The latest ACHCA news can be found by clicking here. News events covered in our member publications and press releases prior to 2012 can be found in our archives. White papers of interest can be found here. Does ACHCA offer study guides for the NAB exam? No. Please visit the NAB website for additional resources: click here. Does ACHCA post resumes and/or jobs online? ACHCA offers an online employment center called CareerLink. Its goal is to connect job seekers with employers who have jobs available in long-term care. To access CareerLink, click here. What resources does ACHCA offer its chapter leaders? ACHCA offers membership, marketing, leadership, and continuing education materials for all chapter leaders: click here. In 2014, ACHCA will be migrating these resources to the Chapter Leader Community on ACHCAConnect. What is ACHCA's role in the Long Term Care Professional Leadership Council (LTCPLC)? LTCPLC was formed in 2007 in an effort to bring together key professionals who provide leadership in long term care. ACHCA was one of the founding member organizations. For more information on LTCPLC, please click here. Does ACHCA have other professional websites/resources available about long term care administration? What are the ACHCA Annual Events? ACHCA offers two national conferences each year – The Annual Convocation & Exposition in April/May and Winter Marketplace in November/December. National events are listed on the Events page at www.achca.org. Several ACHCA state chapters also host meetings and events. Click here to see upcoming chapter events. How do I register for ACHCA events? Registration for national events can be found from the Events page at www.achca.org. Registration is available online or via fax/mail. Several ACHCA state chapters also host meetings and events. Click here to see upcoming chapter events. I am with the media and would like to cover an ACHCA event, who do I contact? Media representatives wishing to cover an ACHCA event must complete and submit a Media Credential Application. For more information, email [email protected]. Where do I find a listing of my state’s local events? Click here to see upcoming chapter events. Click here for links to the state chapter websites. Partners represent businesses that subscribe to ACHCA’s high standards of excellence, and agree to provide extraordinary value and service to ACHCA members. Click here to take advantage of special offers and discounts offered by ACHCA Partners. What opportunities does ACHCA offer for vendors at their Annual events? Exhibit, sponsorship and advertising opportunities are available for ACHCA national events. Visit the Events page at www.achca.org for specific event opportunities. For more information contact [email protected] or call (800) 561-3148.
Who do I contact if I want to be a vendor at an ACHCA event? For more information contact [email protected] or call (800) 561-3148. What non-conference advertising opportunities are available with ACHCA? What is the Academy of Long Term Care Leadership and Development? In support of the mission of the American College of Health Care Administrators (ACHCA), The Academy of Long Term Care Leadership and Development advances long term care leadership excellence through generating resources to support education, research, and development. Click here for more information about The Academy. How is The Academy managed? The Academy of Long Term Care Leadership and Development Committee (Academy) is a Board Standing Advisory Committee established in the bylaws. Membership of the committee is comprised of no greater than 12 appointed and elected individuals. How can I make a donation to The Academy? Click here for more information about donation opportunities. What is the David B. Oliver Legacy Society? The David B. Oliver Legacy Society was established to create a significant financial base to enable ACHCA’s leaders to fulfill the organization’s mission of advancing excellence in long term care leadership. Click here for more information. If I want to make a Memorial or Tribute Gift, who do I contact? A memorial gift offers a special opportunity to remember a deceased family member, friend or colleague with a donation to ACHCA. Tributes are a way to honor a friend or family member who is celebrating a special occasion, such as a birthday, wedding, graduation, or professional accomplishment, by making a gift to ACHCA. Click here to make your gift today. What is the Fellow Academy Promise? Members who are Fellows of ACHCA may support our professional society by making a promise over 4 years. Click here to make your first year gift payment today and ACHCA will invoice you each year for the next 3 years. Click here for information about becoming a Fellow. What is ACHCA's Mentoring Program? ACHCA’s National Mentoring program, launched in 2011, is open to leaders in long term care who are Professional ACHCA members employed (5 years or less) in a long term care or aging services setting. 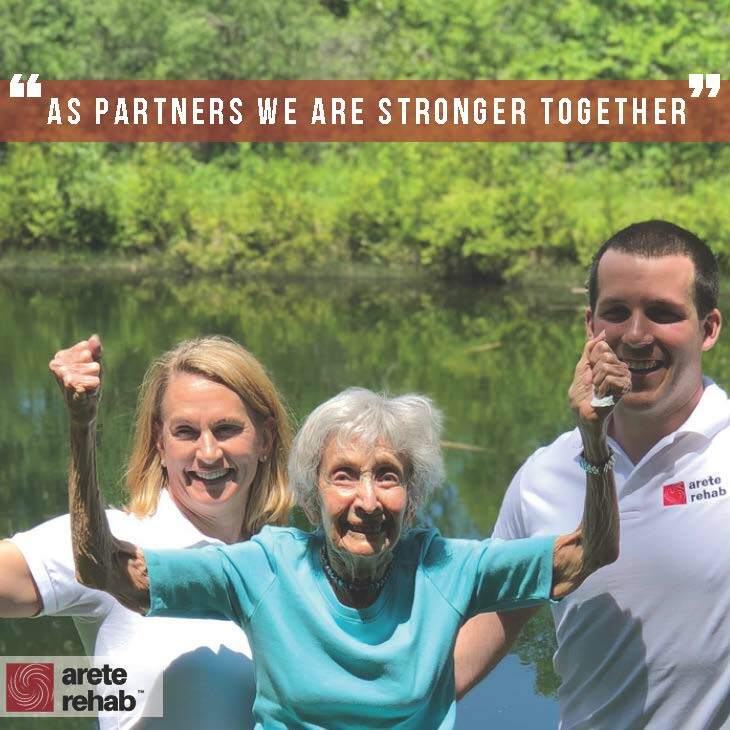 The primary focus of this program is to provide education, resources, and tools to develop relationships in order to retain future leaders in the field of long term care. Click here for more information about the mentoring program. Individuals may apply to the program and are vetted through the Mentoring subcommittee for participation. The vetting process is based on qualifications of the mentor/protégé, geographic representation, and number of applicants. Individuals will be notified regarding acceptance to the program in late February. Click here for more information about the Mentoring program. How do I qualify to be a Protégé? PROFESSIONAL and EMERGING PROFESSIONAL members of ACHCA. In attendance at ACHCA’s Annual Convocation (in order to meet face to face with your mentor). Click here for conference information. Currently employed within the long term care setting. Willing to commit to a minimum of one hour per month to meet with your mentor for the successful development of your relationship. ACHCA Fellows. Click here for information on becoming a Fellow. In attendance at ACHCA’s Annual Convocation (in order to meet face to face with your protégé). Click here for conference information. Willing to commit to a minimum of one hour per month to meet with your protégé for the successful development of your relationship. How do I apply to the mentoring program? All applications are accepted online. The application window opens in the Fall (October) and closes in the Winter (January) so that matches can be made prior to the annual Convocation. ACHCA’s Mentor Application and ACHCA’s Protégé Application can be accessed here. How are the mentors/protégés assigned? Applications are reviewed by the ACHCA Mentoring Coordinator. Matches are made based on expectations/needs addressed within the application. All matches are reviewed and vetted by the ACHCA Mentoring Subcommittee before they are released to the mentors and protégés in late February. Do I have to be a member of ACHCA to participate? Yes, all individuals who are accepted into the ACHCA mentoring program must be a PROFESSIONAL member of ACHCA to participate. Will this program assist me in finding an AIT program? The ACHCA Mentoring program is designed to be a program for individuals who are currently working in the field of long term care. Currently, the mentoring program is not accepting application for individuals who are students, actively looking for an AIT program, or enrolled in an AIT program. Members wishing to connect with potential AIT locations can engage prospective preceptors by joining the ACHCAConnect group here. Will this program assist me in finding employment? The ACHCA Mentoring program is designed to be a program for members who are currently working in the field of long term care. For individuals currently searching for employment, please visit ACHCA’s CareerLink by clicking here or network with your peers at ACHCAConnect. For assistance with ACHCAConnect, please contact [email protected]. How long is the mentoring program? The formal Mentoring program is designed to last for one year, but many relationships continue past this timeframe. Each matched pair has differing needs and will formulate their relationship based on those needs. What are the commitments to the program? All mentors and protégés must be willing and able to attend ACHCA’s annual Convocation (April of each year). This is the kickoff to the yearly program and where annual goals are set for the pair. You must also be willing to commit to a minimum of one hour per month to meet with your mentor/protégé for the successful development of your relationship. ACHCA provides an Introduction to Mentoring eLearning course and the completion of this course is required. Additionally, it is strongly encouraged that you participate in quarterly webinars, periodic surveys, and the ACHCAConnect mentoring discussion group. Am I matched with an individual within my state? Not all mentors and protégés will be matched with someone within their state. We do use geography as one of the matching criteria, but ACHCA focuses on matching individuals with the most compatible person available. This might not be someone within the same state. However, we do try to match within the same time zone. Can I be a part of the program for multiple years? Protégés are limited to one year of formal participation. However, mentors can participate for multiple years. They will need to reapply each year. For information on reapplication, please contact [email protected]. CareerLink is a job board focused on connecting jobseekers and employers in the profession of long term care. ACHCA’s CareerLink is powered and managed by YourMembership. Who do I contact to submit my resume or post a job on ACHCA's website? Click here to visit the CareerLink webpage. Jobseekers can set up a free account to post their resume, search job postings and set up job alerts. Employers can create an account to post jobs and view candidate resumes. Does ACHCA monitor job postings? ACHCA’s CareerLink is powered and managed by YourMembership, however, job postings appear on ACHCA’s social media including Facebook, and Twitter. Job postings are also displayed on ACHCAConnect. ACHCAConnect is an online user forum that allows our members to connect virtually with each other across the continuum of care and in special interest groups. How is ACHCAConnect different from other networking sites (i.e. LinkedIn, Facebook, etc.)? ACHCAConnect is for ACHCA members only. Other social networking sites such as Facebook and LinkedIn allow anyone from any industry to post, where ACHCAConnect is specific to our members. This allows us to better serve the member and their needs. Do I have to be a member to access ACHCAConnect? In order to access ACHCAConnect’s full functionality you must be a member of ACHCA. However, conference registrants have access to that specific conference community after they register for 30 days following the conference. Issues may be reported by posting in the Information Technology Support Group or emailing [email protected]. The ACHCAConnect use guidelines and Code of Conduct are available here. A community is a virtual, interest specific network of members, which allows you to connect with peers to discuss issues and share resources. A community offers a library of resources built by its members. How can I learn more about ACHCAConnect? ACHCA offers a series of very short tutorial webinars to assist members to learn more about ACHCAConnect. These tutorials can be found here. How do I change my subscription/email delivery preferences? To edit your profile, click "Edit Contact Information". To return to ACHCAConnect once you have edited and saved the desired information, click on “ACHCAConnect” on the navigation bar. Click "Refresh My Profile" on your profile page to update the changes made to your profile. For short ACHCAConnect tutorials click here. I stopped receiving emails from ACHCAConnect. What happened? Check your settings by going to My Profile > Profile > Privacy Settings. In the “Allow community members to contact me?” section, make appropriate changes to the item titled “I would like to forward to my notification email address.” If you continue to experience issues, please email [email protected]. If you believe your ACHCA membership has expired, please contact [email protected]. In an email (HTML version) from a particular discussion forum, you can use the “Post Message” link in the right navigation bar. You can also use the “Post a Message” link found in the main navigation bar under “Communities.” For additional assistance, please read the FAQs on ACHCAConnect by clicking here. To post a message to two communities at once, create your post and in the “Cross Post To” field choose the other community where you would like your post to appear. We have set a default signature, but if you would like to change the information that appears or the order in which it appears, click Communities > View Discussions > My Signature. You can add, delete or reorganize the fields that show up in your signature by clicking the variables on the right-hand side of the screen. Please note that the content of these fields is pulled directly from your profile, so if you want to change the information itself, you will need to make the change to your actual profile. When you send an attachment through ACHCAConnect, it automatically places it in the Community’s Library and sends a link to its members. This has eliminated the problem of blocked attachments due to file size or type. To find communities, hover over “Communities” in the menu bar then click “All Communities.” A list of all communities will be shown on the screen. Communities to which you already belong will have a green circle with a white check mark inside of it (to the left of the name). Communities that are available for you to join will have a green button to the right with the word "Join" in it. To join a community, click the green "Join" button. Go to “Communities” in the navigation bar. Hover over “View Communities” and click on “Join Communities” in order to see a list of available communities. Simply click the “Join Community” button to join. Then choose a delivery option for posts (Real Time, Daily Digest, Legacy or No Email). How do I complete my ACHCAConnect profile? Log in to ACHCAConnect. In the top right corner of the screen, click the “Complete your profile link.” You will be taken to the Profile screen. Complete all incomplete sections by click the gear icon to the right of the section heading. To add or update your profile picture, click the gear icon on the top right corner of the “blank profile picture” placeholder in your profile. Choose “Change picture.” You may upload a picture by clicking the “Choose file” button. Browse to your picture and click “Open” then click “Upload.” You may also add your profile picture from your LinkedIn account by clicking the “Update your information from LinkedIn” link in the “Grab Profile Info from LinkedIn.” This may require you to log in to LinkedIn. How do I control who sees what on my profile? Click My Profile > My Privacy Settings. This will let you control what information is visible and to whom it is visible. After you’ve made changes, click the “Save” button at the bottom of the page. What are the "networks" that show up on my profile? Networks are groups formed by members in common geographic areas, companies, practice areas, etc. To search for a member click the Directory link in the main menu then enter your search criteria and click the green “Find Members” button. NOTE: When searching for other members, less search criteria will yield more search results. Once you have searched for a member (see “How do I search for a member?”) click the grey “Add as contact” button to the far right of their member information in the search results list. While viewing a member’s profile, click the “Send a message” link to the far right of their member information in your list of contact. (To view your contacts, hover over the My Profile menu in the main menu, then click “My Contacts.”) To send a message to a member from a discussion thread in a community, click the “Reply to sender” link to the right of that member’s post. A private message window will open. Type your message and then click the grey “Send” button on the bottom right of the screen. How do I find out more information about ACHCAConnect? ACHCA has a video library, which has many ACHCAConnect “How To” videos. Click here to access the tutorial videos. You can also view our PDF guide here.